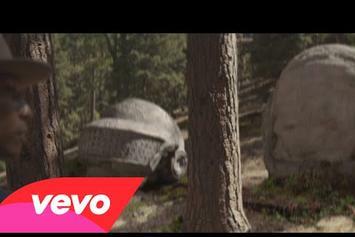 Watch Pharrell's new music video for "Gust of Wind." 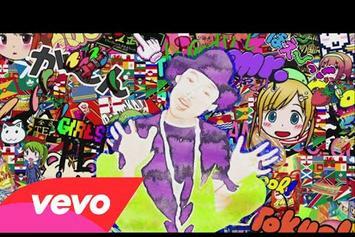 Pharrell drops off an animated music video for "It Girl." To date, Pharrell's 2014 album "G I R L" has sold 502,000 copies, meaning that it has gone Gold. Watch the official music video for Pharrell and Miley Cyrus' "Come Get It Bae" collaboration. 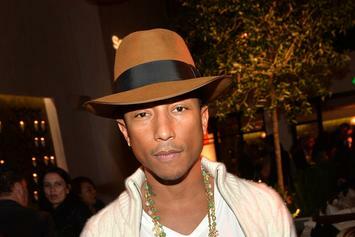 Pharrell announces a string of European tour dates to support his "G I R L" album. 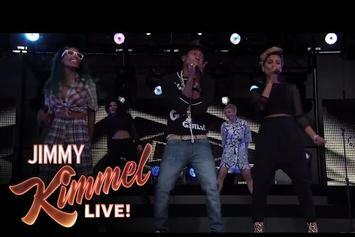 Check out Pharrell's performance of "Come Get It Bae" live on Jimmy Kimmel. Listen to a new bonus cut off Pharrell's "G I R L" album, "Smile." 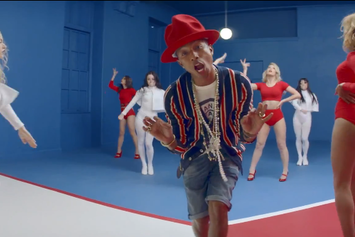 Watch the new music video for Pharrell's next single "Marilyn Monroe." 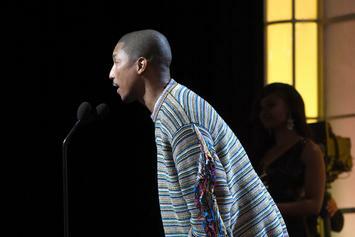 A preview of Pharrell's sit-down with Oprah Winfrey. 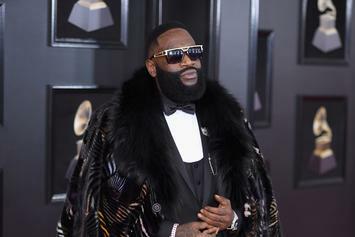 First Week Sales Are In For Rick Ross' "Mastermind" & Pharrell's "G I R L"
Check out where Rick Ross' "Mastermind" and Pharrell Williams' "G I R L" debuted at on the Billboard 200. First Week Sales Projections For Rick Ross' "Mastermind" & Pharrell's "G I R L"
Check out the projections for Rick Ross, Pharrell and Ashanti. Review: Pharrell Williams's "G I R L"
Pharrell's newest album "G I R L" is one more successful notch in the artist/producer's belt. Pharrell sat down with The Breakfast Club to talk about his new album, hitting stores March 4th. 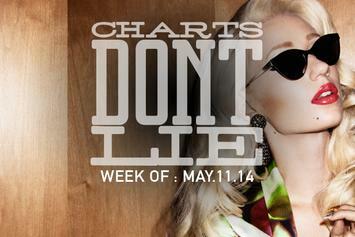 Pharrell responds to backlash concerning his album artwork for "G I R L", pointing out the inconsistencies. 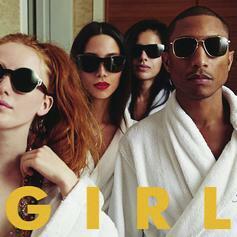 Stream Pharrell's upcoming album,"G I R L", for free now on iTunes. Pharrell speaks on the influence of women on his new album, "G I R L". Watch Pharrell explain the meaning behind his "G I R L" album title. Pharrell Williams has announced the release of his highly anticipated sophomore album "G I R L".